It's more like b-day week than a particular day... isn't that how it should always be? YES. For a girl who loves gifts AND cake, the answer is YES. Bday started early because they brought a gift from my sister and theirs to me as well. Eep! Of course I have no self control so I opened them to my delight. My sister and new-found sewing buddy got me a rotary cutter and cutting board! YES. Brad thinks it's a pizza cutter, just sharper. I think he's not allowed near it. My Mom who just came back from celebrating her 50th in Napa Valley, California, brought me back a bottle of Champagne from Mumm Napa! YES. Plus we went on a shopping trip and I got a pair of super comfy skinny jeans since most of my jeans are nowhere near fitting post-Lily. YES again. My Ga gave me some spending money with which I bought this fab pair of purple Minnetonka moccasins. YES. I still have some left-over that I'm planning to either spend on cast-iron orange casseroles from Winners that could almost pass for Le Creuset but wayyyy cheaper, or some fun shirts. YES again. Fast forward to Monday, October 4th. Brad cooks a phenom dinner. Fillet Mignon AND Rack of Lamb... oh yeah. Meat central, just how we like it. Lily slept like baby-that-actually-sleeps. We are also going for all-you-can-eat sushi on Friday afternoon, something I dearly missed whilst prego. And finally he ordered a book for me that is, well, SO ME. 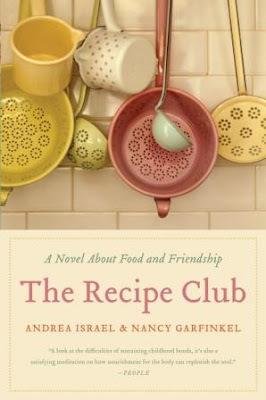 It's called The Recipe Club and is a combination of a novel about friends who love to cook almost as much as they love each other and a cook book, full of yummy recipes. I mentioned this book months ago, and of course, he remembered. Sigh. and YES. Why does she insist on peeing when the diaper is OFF? Less awesome, but wow I love her. What a great bday!! I'm thankful for a yearly reminder than I was born into this world a small, crying, wrinkly baby, utterly dependent, and completely in need of help and love. In so many ways, I'm still there, which I remember on a particularly humble, God-fearing day, but too seldom. 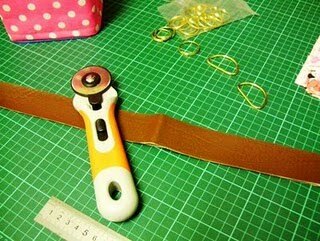 Emi - what a wonderful post to your blog - daddy and I are just looking at it and loved it!!! And the smiles....well they are amazing. @Deb I was trying to position the camera just so that I could keep her an honest woman ha! Also, I hope and pray you never get the pee in the mouth. It's not pleasant. Cute post. I love reading your blog. I'm also happy to hear that your wee one is sleeping better. What a gift! i love lily peeing but in FAB socks. happy birthday emily! 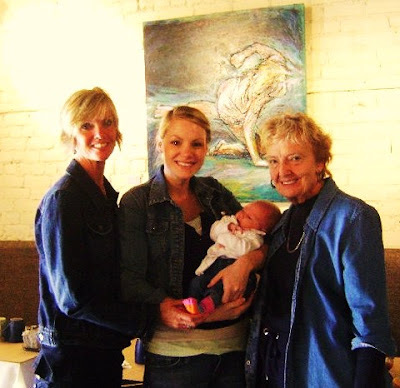 with many years to come with your ga, mom, and lily! This is wonderful! I'm glad you had such a great day! 2 things: I didn't know that Lily could get ANY cuter, but alas, she has and I am SO excited to meet her! 2. Where did you get those moccasins?! I'm obsessed!!! 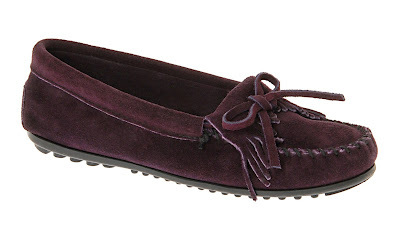 @Morgan & @jen I know I looove moccasins, and Minnetonka mocs have a solid sole so they're not like slippers... I got them at a shoe store in Montreal called Little Burgundy for $60. Don't know if there's a LB in Ontario though...unless it popped up when I moved away. ps - jenny I didn't know you had a blog too!! uh oh... look what I'm readin' now! LOVE those Moccasins! I've been wanting a pair and in desperate need of new ballet flats. Do they come in brown? ps. the book also looks amazing! and last but certainly not least, love those little smiles of Lily's! hey @Amanda, yup they come in lots of colours - dark grey, redish brown, caramel, light brown, etc! Little Burgundy, soooo cute. I still have about $60 of bday money and might buy a second pair!! !